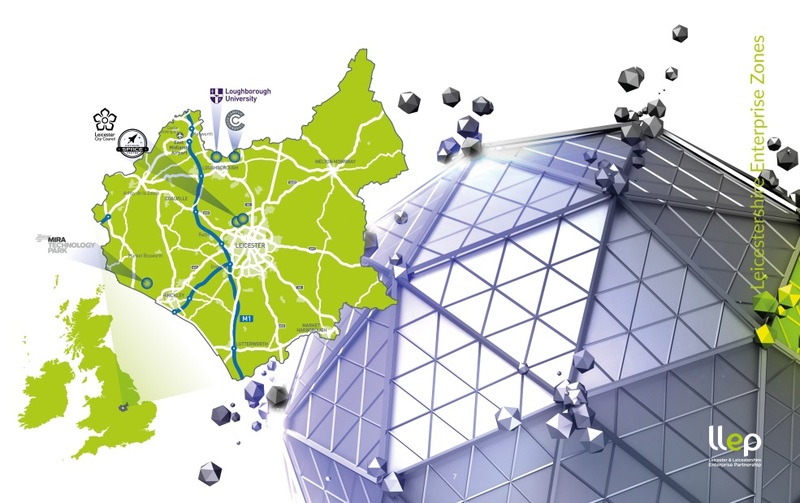 A unique, multi-sited Enterprise Zone offering cutting edge research, innovation and product development opportunities in the life sciences, advanced manufacturing, low carbon and space technologies sectors. For investors, occupiers and end-users that want to maximise the benefits of being in an Enterprise Zone location; capitalise on access to outstanding R&D testing facilities and equipment, in a central location with excellent road, rail and air links. Charnwood Campus offers state-of-the-art flexible laboratory space with specialist high quality research and development accommodation and serviced office facilities supporting bio-medical and pharmaceutical industries. Custom-built property solutions are also available in this stunning landscaped setting. It has recently been announced as the first Life Science Opportunity Zone in the UK. Leicester Waterside is split across two sites. The Waterside area is perfect for high value employment, especially high value manufacturing, and Grade A office space for professional and financial services. Pioneer Park is a key development opportunity for science, technology and innovative businesses in a prime location adjacent to the University of Leicester Space Park development and the National Space Centre. Loughborough University Science and Enterprise Park – one of the largest science parks in the UK is an outstanding location for knowledge-based businesses specialising in advanced engineering and manufacturing, high value research and development, energy and low carbon. Charnwood Biomedical Campus is a 31 hectare site in Loughborough, Leicestershire. Loughborough University Science and Enterprise Park is a 106 hectare site situated in Loughborough, Leicestershire. Leicester Waterside is just over 66 hectares split across two sites in central Leicester. All sites are within a 30 minute drive of East Midlands Airport and are easily accessible to major motorways, including the M1, M69 and M6, and mainline rail stations.